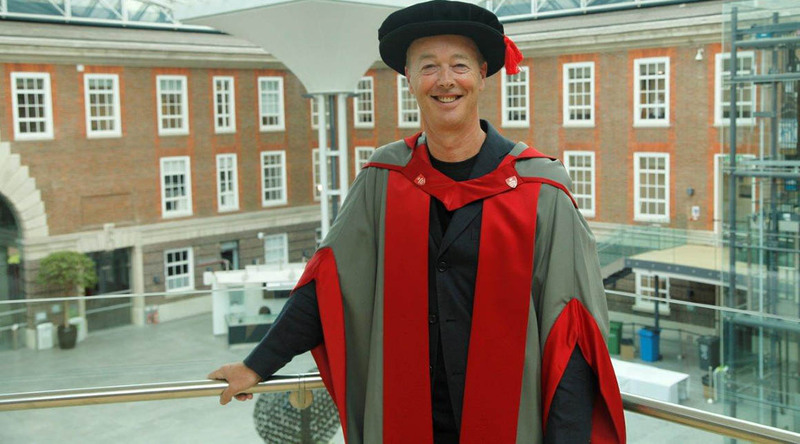 Phil Davies, the award-winning Producer behind Astley Baker Davies and Entertainment One’s (eOne) hugely popular animated children’s shows Peppa Pig and Ben and Holly’s Little Kingdom has been awarded an Honorary Degree by Middlesex University. Davies has been producing animation since the 1980s, winning six animation BAFTAs and being nominated a further 11 times. The films he’s produced have received many global awards and he was presented with his latest accolade at the University’s graduation ceremony today. “It is a tremendous honour to receive this award, especially coming from the institution where myself, Mark Baker and Neville Astley first met in the 1980s. Without those wonderful years working at Middlesex I’ve no doubt that Peppa would not exist!" says Phil Davies. While working with students at Middlesex Polytechnic in the 1980s, several ground-breaking films were produced including some for the newly established music station MTV. In the 1990s he regularly produced short films for Channel 4 and also ran the Channel 4 student animation competition. He currently sits on the professional advisory panel at the National Film and TV School and regularly supports students and projects at London’s Royal College of Art. In 2002 Phil Davies joined forces with old college friends Neville Astley and Mark Baker to produce children’s animation. Together the trio have produced 104 episodes of their popular TV series Ben and Holly’s Little Kingdom, and are currently working on another 52 episodes of the multi award winning series Peppa Pig. 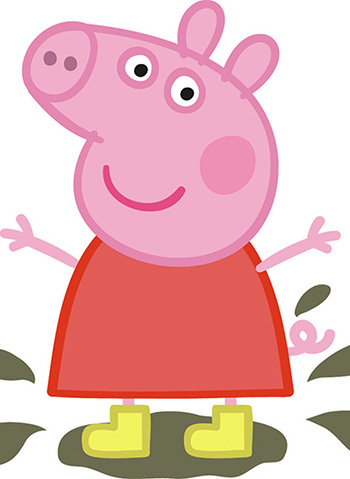 To date, 212 episodes of Peppa Pig have been produced. The series has been sold to over 180 territories around the world winning BAFTAs in 2005, 2011 and 2012. The series has spawned a large licensing programme, generating over one billion dollars in global sales annually. In the UK there are over 80 UK licensed partners including a theme park, and a touring theatrical show. Currently it is one of the leading pre-school properties both in the UK and around the world. “It is a real privilege for Middlesex University to be able to recognise expertise, public duty and creativity by offering outstanding individuals one of our Honorary Degrees. I am delighted to be able to play a part in today’s ceremony and want to congratulate each recipient. Their achievement is very well deserved,” says Vice Chancellor of Middlesex, Professor Tim Blackman. The BA Animation degree at Middlesex University is very highly regarded. It is a programme that embraces all aspects of animated filmmaking. BA Animation helps aspiring animators to develop production skills, ensuring they gain the experience needed to work in today's highly competitive and exciting animation industry.